Asda is not taking part again this year, reasoning that its customers prefer year-round deals rather than a single day of sales, although its decision to withdraw came after some stores were the scene of brawls as customers fought over cut-price items. Apple has previously opted out of the event but is teasing visitors to its website with the promise of deals on Friday, but Next and IKEA have ruled themselves out. Amazon has been offering Black Friday deals since last Monday, and new offers as of today include its bestselling Fire tablet available at a “lowest-ever” price of £29.99. Customers can also save up to 45% off selected Le Creuset lines, and its Paperwhite kindle is on sale for £79.99, a £30 saving. Amazon is also launching thousands of ‘lightning deals’ on limited quantities of products for a short time. Argos is running a 13-day sale with discounts on items such as Dyson vacuum cleaners and TVs, while Boots launched its deals on Saturday with more than 50% off some electric toothbrushes and Braun shavers as well as savings on electricals, beauty and fragrance. Debenhams is offering up to half price on certain items every day this week, including beauty, health and electrical items, furniture and 40% off toys. House of Fraser has launched its six-day Black Friday event with 50% off brands including Barbour, Ugg and Michael Kors, among other deals. Supermarket giant Tesco has an 11-day sales event running which will continue until December 1. 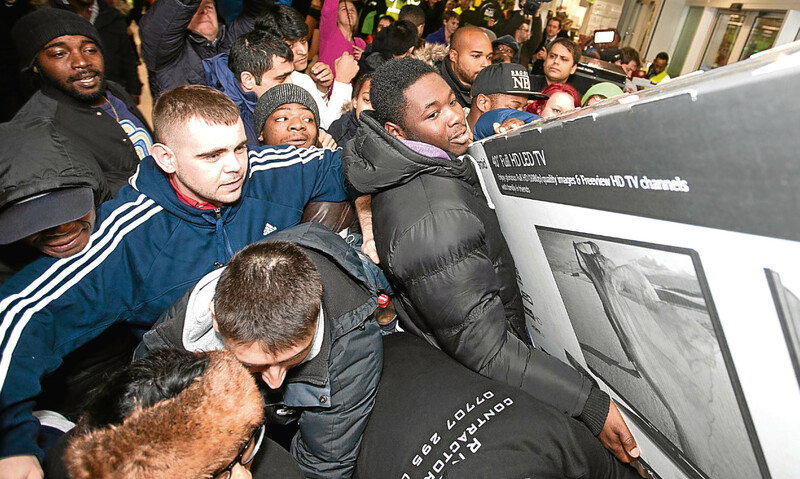 The main event on Black Friday itself will see the majority of Tesco Extra stores opening at 5am. Online auction site eBay is revealing new offers each day until November 29.